What is your name and where are you from? My name is Tereza Lopatarova and I come from the Czech Republic. 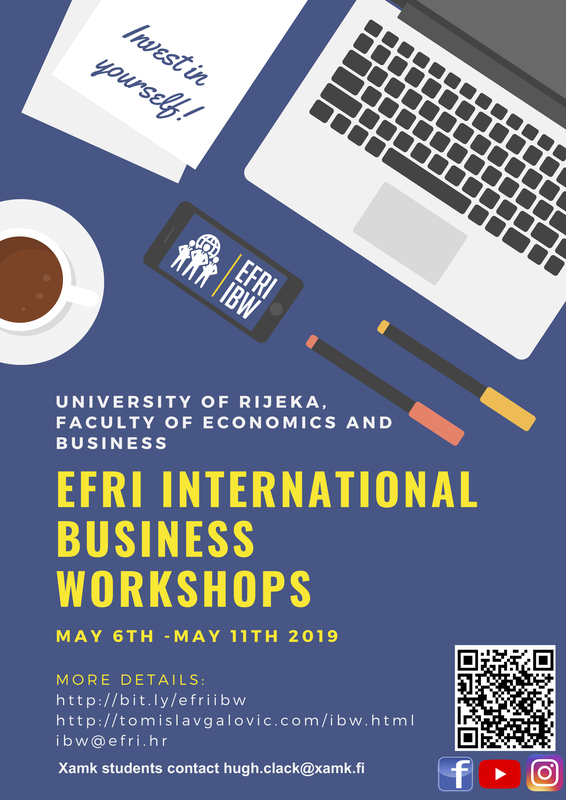 What did you study in Czech Republic? I have a Bachelor degree in Education. I have studied at South Bohemian University in Czech Budweis. 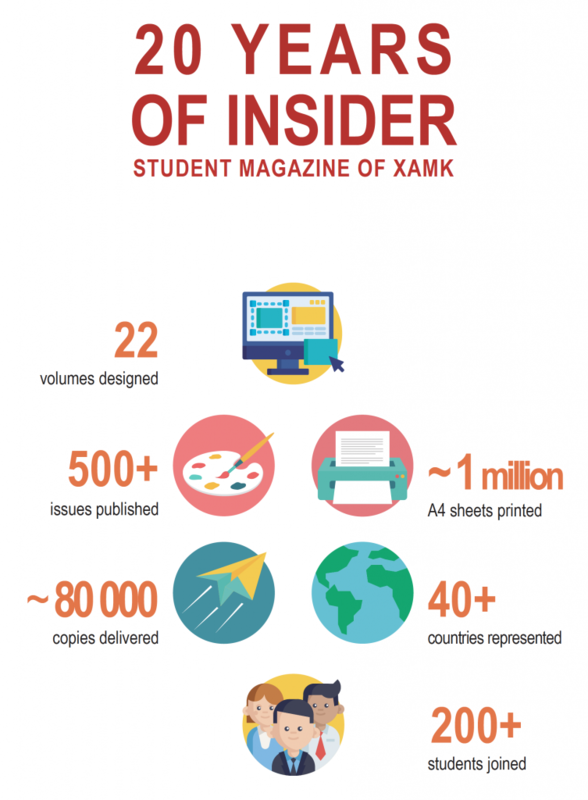 What do you study at Xamk?At XAMK, I am studying International Business. What are the big differences in living in Finland and Czech Republic?Finnish winters are colder, winter days shorter and distances longer. One big difference I notice especial during winter time is that people don’t let snow or cold stop them from their activities. For instance, last year for the first time, I was commuting to school by bike whole year. From student point of view, I would say that Finnish students have better living standards, as they get money from the government, so they can afford to live on their own. In the Czech Republic students usually live in shared flats. How many countries have you visited?Location of the Czech Republic is quite good for traveling within Europe. I have been to Germany, Austria, Poland, Slovak, France, Italy, Croatia, Romania, Hungary, Netherlands, Ireland, Estonia, Latvia, Sweden and I have spent four months in Leeds (Great Britain) as an au-pair. Why did you choose Finland for studies?I didn’t choose Finland, Finland chose me. I came here because of my Finnish boyfriend and since I didn’t speak any Finnish, I decided to study it and get local education at the same time to increase my career opportunities here. What do you like about Finland so far?I like Finnish food, coffee, sauna and great cross-country skiing opportunities. What is your favorite Finnish food?My favorite food is Lohikeitto. It is called Salmo food in English”. 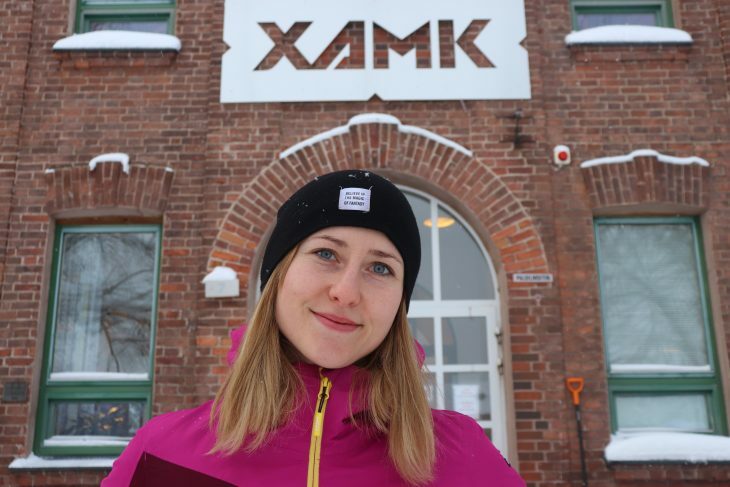 What are your future plans after studying here at Xamk?I hope I will graduate soon and find job here in Finland. Who inspires you the most? At the moment, I am most inspired by people who managed to master Finnish language and find an interesting and fulfilling job here. How do you cope with the Finnish winter? Winter dark is sometimes tiring, but I am doing quite a lot of sports, which cheers me up. For me, the most important is to keep myself warm and surrounded by candles and lights. Sauna helps a lot.